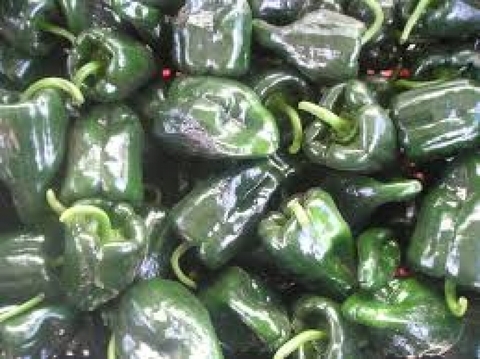 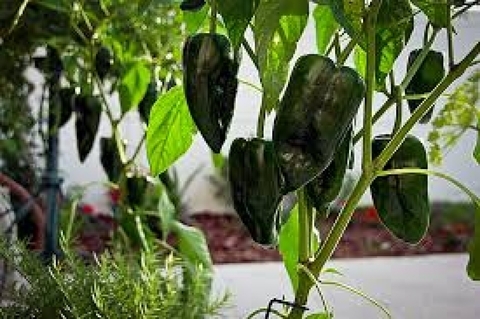 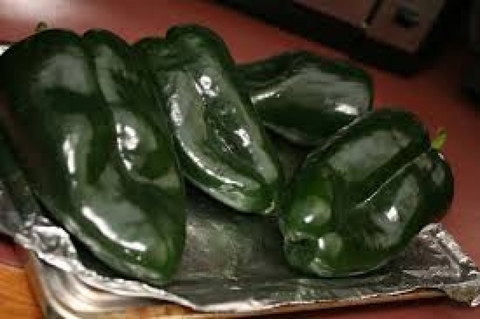 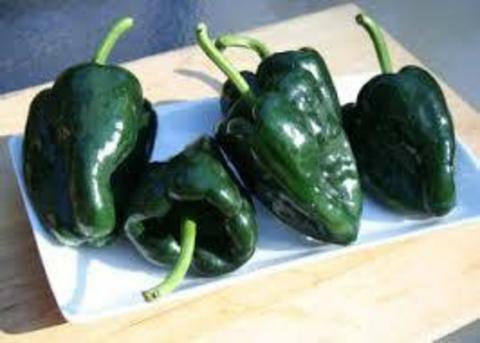 The Poblano is a very mild chile pepper originating in the State of Puebla, Mexico. One of the most popular peppers grown in Mexico, the plant (of the species Capsicum annuum) is multi-stemmed, and can reach 25 inches in height. The pod itself is about three to six inches long, and about two to three inches wide. 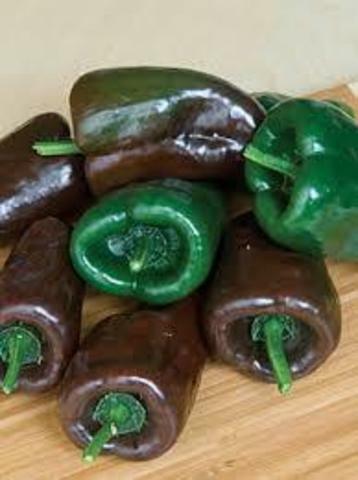 An immature poblano is dark purplish green in color, but eventually turns a red so dark as to be nearly black.